New students register for orientation by simply contacting the admissions office in SCGI building there after the academic staff will process the request on to the system by logging on to http://smartreg.buu.ac.th. Students can then register for the courses on the registration date. The registration dates can be found on the Academic Calendar, which is available on the website. On the registration date, students can quickly access the registration process by simply logging on to http://reg.buu.ac.th Registration will be complete with payment of tuition fees. 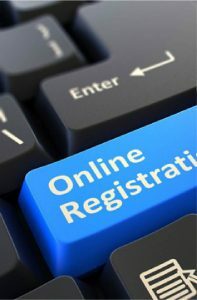 In September, students would then have to re-register according to Wuhan University policy and submit all the necessary documents when asked for through their system http://yjs.whu.edu.cn/ssfw/login.jsp. For more information regarding this, students can contact the Academic office directly at SCGI building or graduate affairs office in Wuhan University. Students are personally responsible for dropping a course in which they no longer wish to be enrolled. Students may withdraw from a course during the add /drop period at the beginning of the semester. 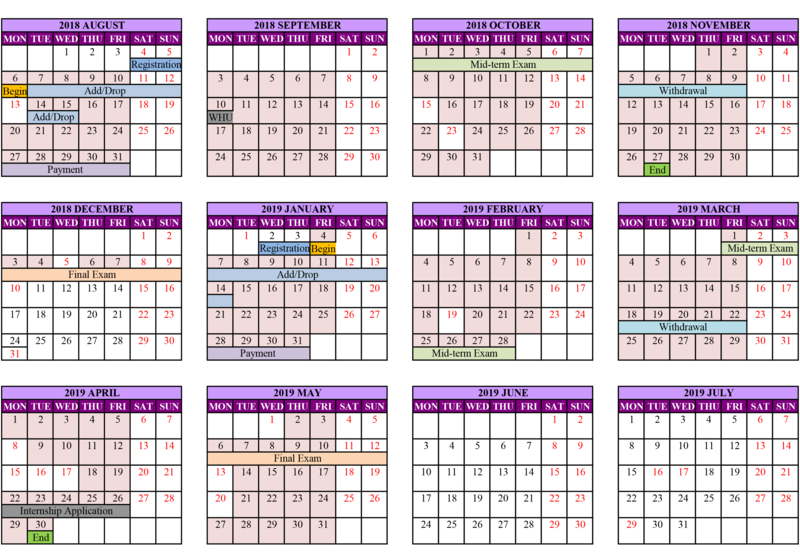 The withdrawal period for each semester is published in the Academic Calendar which can be downloaded from the website. Students officially withdrawing after the add / drop period will not receive a refund and will receive a W grade for the class. Permission to withdraw from a class must be obtained from the instructor. The grade of W will not be used in calculating grade point averages but W grades will also affect any dismissal decision. Students can contact the Academic office directly at SCGI building or graduate affairs office in Wuhan University for more information regarding this. Errors in registration to be corrected within the first week of instruction during the semester. Remark : All rates mentioned above are approximately calculated and are subject to change without prior notice depending on the currency fluctuation. Students who do not register during the registration period can register during the late registration and add / drop periods. The add/drop period consists of 2-3 working days. Students can access the add / drop form by contacting the Academic office directly at SCGI building or graduate affairs office in Wuhan University for more information regarding this. 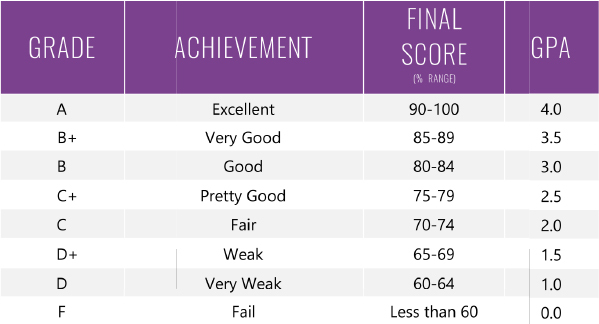 Students may repeat or re-grade a course when they are not satisfied with the result, and the latest grade will be used to calculate the Cumulative GPA. However, the previous grade(s) will still appear on the transcript. Students who withdraw (W) or fail a course with a C, D, F or U grade should retake the course if it is a requirement of the major’s curriculum. Please note that students can only register a course for a maximum of three times. If by the third time the student still cannot reach the minimum passing grade for that course, then the dismissal policy will be strictly imposed. 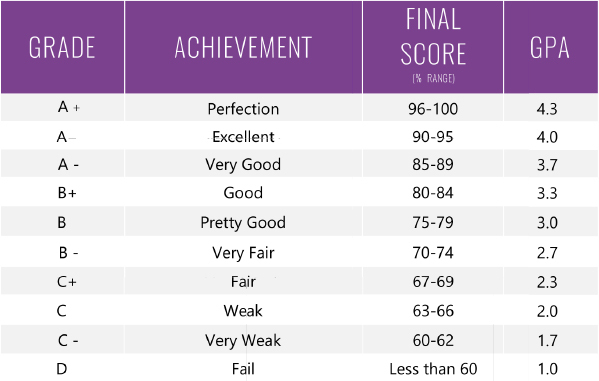 Evaluation of a student’s achievement in a course are recorded by letter grades. 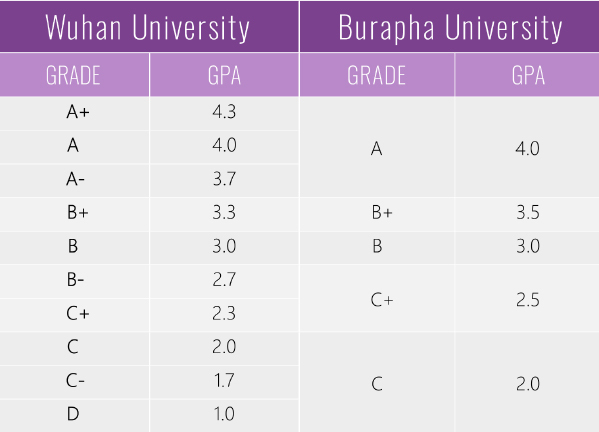 However, for the grading system for both the universities Burapha and Wuhan are a little different. 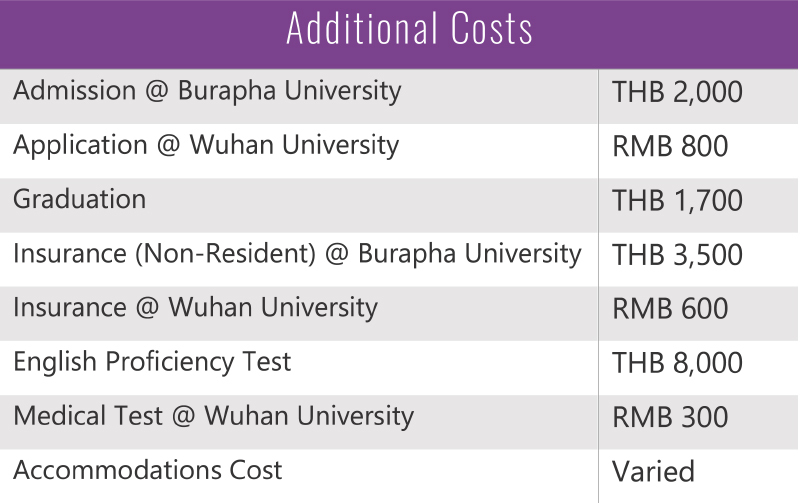 The following table shows the details of grading system within the each university and a combination of what is used. Students who fail a major examination or project. Students who are absent on the exam date without permission from the Faculty members. Students who are not allowed to take the examination because they have failed to attend 80 percent of the total class time. Students who violate the rules regarding examinations, for example, are late for the exam or engage in cheating, collusion etc. Students who receive an “I” grade and fail to take the exam or complete a project during the next trimester (except those students who have permission to take leave of absence). An AU will be given for those courses in which students receive no credit; however, students must attend at least 80 percent of the classes. Students who do not take the exam or do not hand in their reports on time due to health problems but submit a medical certificate. However, the Faculty Member will make a final decision. Students who are not allowed to take the exam because they attend less than 80% of the classes due to health problems and submit a medical certificate. However, the Faculty Member will make a final decision. Students who are unable to take the exam or hand in a report due to circumstances beyond their control. Again, the Faculty Member will make a final decision. Please note that: The ‘I’ grade will automatically change to an F or a U grade at the end of the following semester if the lecturer in charge has not changed the ‘I’ by that time. If the grade awarded is an F or a U, then the student must register for that course again in the following semester. Students are allowed to withdraw from courses after the add / drop period; However, they will not receive a refund. Students allowed taking a leave of absence. Please note that: The ‘I’ grade can be changed to a W grade if the student was away due to health problems and submit a medical certificate at the end of the following semester. However, the Faculty Member will make a final decision. The Thesis advisory committee will give an S or U in Thesis Dissertation. Having health problems, which need to take more than 20 percent of class hours to recover or to be treated properly. A medical certificate is required in this situation. Students are allowed to ask for a leave for personal reasons only once a term. Please note that all requests need to be approved by the Academic committee. Students can access the leave of absence form by contacting the office at SCGI Building. Students must explain the reasons and identify the semester in which they will return to study. Please be informed that the period of taking a leave of absence is also counted towards the total study time. If students are taking a thesis in their last semester, and the subjects’ grades have not yet been published at the end of the semester and the students have no more courses to take, they need to maintain their student status by contacting the academic office and completing the requested form. Please note that students have to maintain their student status if they registered for thesis or Senior Project or Independent Study or Internship in their last semester of study, but the grade could not be submitted to the office. A written thesis must be submitted and be defended in a colloquium. The Master Thesis will be supervised by one of the advisors from the advisory team from Wuhan University and a co-supervisor from Burapha University. The Thesis proposal must be submitted at least half a year before the defense. A committee to review this proposal will consist of four (4) members from the faculty and one external member. The Thesis committee will determine if the subject is appropriate and whether the topic is relevant to the field of study. A status report must be submitted to the supervisor every three months after thesis work begins. The status report must provide a summary of the work that has already been done and also must give an outlook on the anticipated outcome together with a schedule for the time until submission. The Master Thesis must be defended in a colloquium at Wuhan University. In order to graduate, the students must complete 42 credits based on the program’s requirements. To graduate, students must earn a minimum Cumulative GPA of 3.00. Students must pass the English Proficiency test and must pass the Thesis defense and have obtained an acceptance of publication in a journal or academic publication or have presented it at a conference, which has the proceedings. Students are required to request for their graduation by contacting the admission office at SCGI building. A staff will give the students through an online system and to check the printed course record provided by the Registrar Office before registering for their last semester. After the students have already submitted the checked course record to the Registrar Office, they will have to wait until all the grades have been published in the system. If their thesis grade has not yet been published at the end of the semester and they have no more courses to take, they must maintain their student status by contacting the academic office. At Burapha University, His Majesty the King or a member of the Royal Family, Acting on His Majesty’s Behalf, will preside over the annual ceremony. In order to attend the ceremony, the prospective graduate must register for the ceremony at the proper time (generally after all the grades have been published in the system), and have successfully passed all the courses, including thesis. All students must be dressed in the appropriate graduation gown. At Wuhan University, in order to attend the ceremony, the prospective graduate have successfully passed all the courses including their Thesis. All students are automatically classified under the following: 1. Regular normal status students, or 2. Students on probation. The classification will start at the end of the student’s second semester of the first academic year, and will continue until graduation. The classifications of a student’s status are as follows: Students will be removed from probation when the student achieves a Cumulative GPA of 3.00 or higher. Failure to achieve the minimum Cumulative GPA standard during the designated probation period will result in dismissal. Students changing their residences and / or contact telephone numbers should fill in a Change of Address form at the academic office. Students are responsible for keeping their addresses and contact numbers current. Each document takes 3 working days and there is a fee for each type of document; plus a postage charge if the document is mailed. The students have to fill in the form in person and then follow the process as required. If students cannot submit the form in person, they may authorize a representative to do so on their behalf by attaching a completed letter of authorization form, available at the academic office. Any request for a special letter or document should be addressed to the Academic Committee submitted to the admission office at SCGI building. The request should be specific about all the information, the purpose of the request, and it should have full contact details of the student. When first entering the program, students will apply for and receive a student ID card. Students must have their ID cards with them at all times while on campus and must show their ID cards when requested by a university official. Students are also required to bring their ID cards to mid-term and final examinations. On-Campus Payment / Bus Card The campus card can be used to make purchase in any of the school canteens and even the on – campus supermarket. It can also be used to travel around the campus on the bus provided. For your convenience, we suggest that you link your campus card and bank account together; this can be done at the University’s Financial Affairs Department. Upon doing so we also suggest that you change the password of your campus card account in the interest of your safety. Library Card In order to set up your library card account, you must first report to room 104 in the School of International Education and present the appropriate documentation (campus card, student booklet , passport etc.) to prove your status as student of Wuhan University. Having done this, you may now make your way to the university library with the aforementioned documentation to complete the library card registration process. Lost Student ID Cards Students who lose their ID cards must request a replacement ID cards from the Admissions Office. The request takes three working days to process. At Wuhan University, you must bring your passport and student booklet to successfully apply for a new campus card. Students requiring a recommendation letter for employment or further studies should contact their lecturers. Most lecturers are willing to write a recommendation letter, but it is not an obligation. When making the request, students should provide the lecturer with a copy of their transcript and a short letter that requests a recommendation, stating the purpose of the recommendation and indicating classes or interactions that the student had with the lecturer.